Also in February, we began our new school year. We are grateful to God that we were able to keep the same wonderful director and team of teachers except for a new English teacher. In the midst of some tough financial times, they agreed to put off a salary raise in order to help ensure the school stays open. 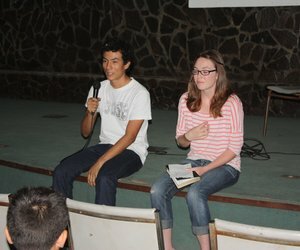 At that time, we also began a student sponsorship program. In March, we were privileged to host one team and two short-term missionaries. The first missionary was Bryan Randolf, a dentist who comes annually to work with the members of our church. He was with us for three days, during which time he was able to help numerous adults and children with cavities and cleaning. The March team came from Calvary Chapel Merritt Island. They were able to begin a project requested by the teachers at our school – to paint the metal bars on the windows as well as the metal gate. They also were able to help with some other smaller projects, including repairing some tables, some electrical work, and some organizing. One individual in particular completely cleaned out and reorganized one of our storage containers; that was a huge blessing! Perhaps most importantly, however, one member in particular took pictures of all of the students individually to help our new student sponsorship program. 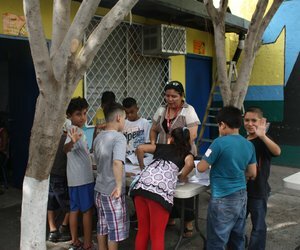 Besides all the projects they completed, they also were able to go out evangelizing regularly in several nearby neighborhoods. While the team was working hard on maintenance projects and evangelism, we also had another short-term missionary named Doug Selby, who comes regularly to help with electrical projects and to bring supplies. This time, he was helping us examine how we might make some of our power come from a small wind turbine on the roof. April was a challenging month. It started off beautifully, including a special creation project completed by the students of our school. 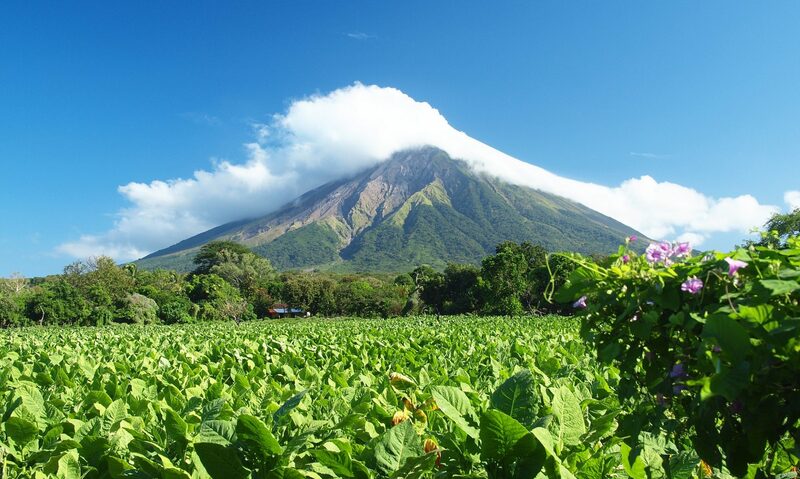 On April 10th, however, Managua experienced a fairly strong earthquake (measuring 6.4 on the Richter scale) that put the country on red alert for Semana Santa (Holy Week – the week leading up to Easter). Due to numerous aftershocks and increased levels of seismic activity, the red alert continued for several weeks. Indeed, for nearly a week the ground never seemed to stop rolling and shaking. Many people were scared, and schools were closed for three weeks (not including the vacation week). 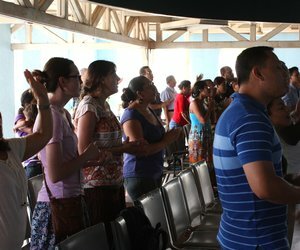 During this time, we were able to host a special prayer meeting for the people from our church, and for their families. 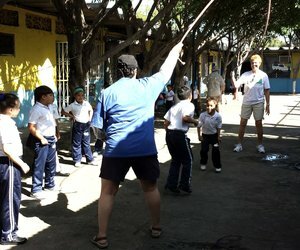 We also were able to host a team from Calvary Chapel Camarillo. 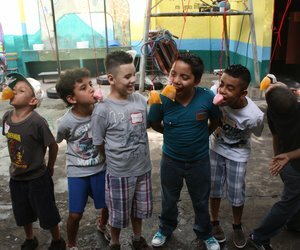 The school closings afforded the Camarillo team the opportunity to finish the painting project started by the Merritt Island team and put on an impromptu Vacation Bible School. 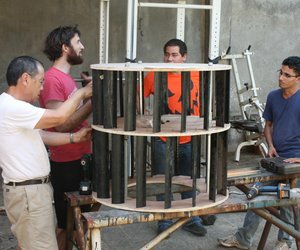 While the ladies finished painting the metal at the school, the guys made the small wind turbine for the roof to get that project started. The team also hosted a special women’s event which included a teaching by Elvia Gonzalez followed by pedicures for everyone – quite an undertaking as there were nearly 60 women in attendance. Perhaps the biggest blessing of the night was how quickly and willingly several of our own local church members got involved in ministering to their peers! The team also hosted a special men’s event and went out evangelizing several times. Some of the women also got to help prepare for the wedding of two of our newer members: Natalia and Elvis. On May 5th, Natalia and Elvis held a traditional wedding ceremony in the church. They had completed their legal ceremony two weeks prior. (In Nicaragua, church weddings are not legal and are considered more a celebration of thanks to the Lord.) It was the first church wedding ceremony we’ve had since Pastor Cal and Jessie celebrated their marriage 5 years ago – very exciting! May also saw the arrival of a medical team from Calvary Chapel Oldbridge, the beginning of a new Wednesday night program, and a special celebration for Nicaragua’s Mother’s Day. 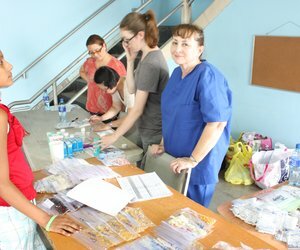 The medical team did a great job of healing bodies and ministering to hearts. People were prayed for at every station. 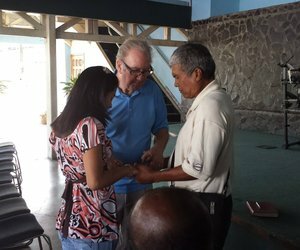 Twenty five people prayed to accept the Lord with Pastor Francisco and we are not sure how many accepted at the other stations. 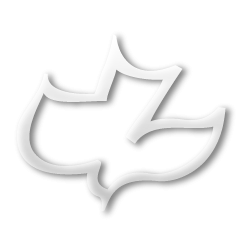 About four weeks ago we began a new method of ministering to our church members on Wednesday evenings. We are still working through the Old Testament verse by verse; but instead of a traditional teaching, after worship we sit in a circle and discuss the passage for that evening. It has been a beautiful opportunity for people who are normally quiet to share the wisdom God has given them, and it has also been a time to answer questions and to enjoy more intimate fellowship. We are grateful that God has inspired this idea, and we are looking forward to seeing how it continues. 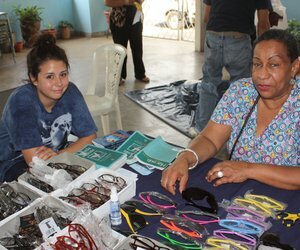 In Nicaragua, Mother’s Day was on Friday, May 30th. The school hosted a special Mother’s Day event on Thursday since Friday was a holiday, and the church hosted one on Saturday. Mother’s Day is huge in Nicaragua; it even merits the closing of banks and government offices! 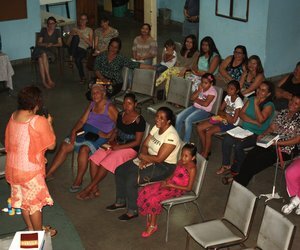 We had a number of women in attendance who would not normally attend church, and so it was a great opportunity to evangelize. After a time of worship, the youth performed a skit and Luz Marina shared a message. We finished the night off with a bit of fun raffling off food baskets and umbrellas! As always, it was such a blessing to see our local leaders step up and organize such a beautiful event.